Those who watched Marc Jacobs’ 25th-anniversary Spring 2018 show likely noted that over half the models were women of color. Happily, the blatant diversity on Jacobs’ runway was, as Givhan suggests, evidence of a larger trend. Bear with us as we quote the statistics. Spring 2018 was the most racially diverse New York Fashion Week in recent history. 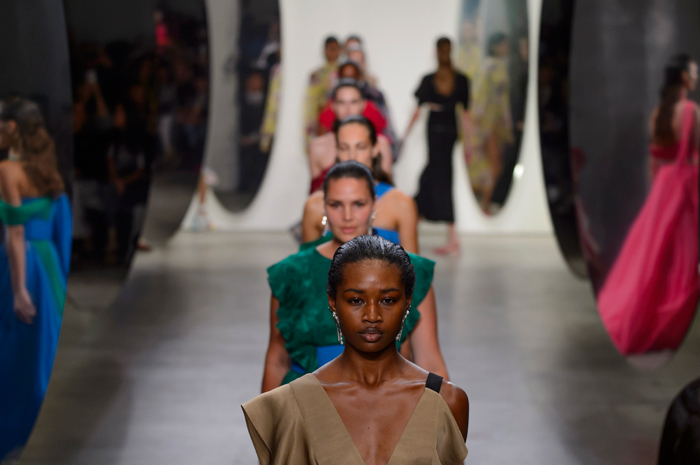 After examining 94 major New York shows and tallying 2,601 runway appearances, we found that 63.1 percent of castings were white and 36.9 percent were nonwhite. This is the first time that nonwhite models have accounted for this large of a percentage. Until now, the Fall 2016 season held the racial diversity record with 31.9 percent nonwhite model castings. Fall 2017, which saw 31.5 percent nonwhite model castings, came in a close second. Of the top 11 models who appeared on the most runways, four were women of color. Indigenous Australian model Charlee Fraser walked in 20 major New York shows, making her the most in-demand model of the season, followed by McKenna Hellam, who booked 16. Chinese model He Cong came in third with 14 runway appearances. Léa Julian, Birgit Kos and Lena Hardt shared fourth place with 13 castings apiece. Brazilian beauty Aira Ferreira and Korean stunner Sora Choi graced 12 catwalks each, as did Cara Taylor, Kiki Willems and Camille Hurel. 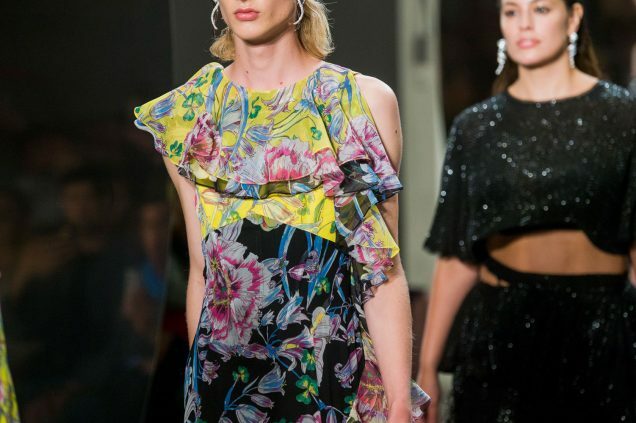 In the end, no transgender, plus-size or mature models made the top 11 list, though transgender model Teddy Quinlivan (then presenting as a cisgender woman) came frustratingly close with 11 runway appearances. With Milan and Paris yet to go, already we can proclaim Spring 2018 a banner season for body diversity. For the first time ever at New York Fashion Week, we saw a whopping 90 plus-size models walk the runway — in other words, 3.46 percent. Considering the numbers seen in previous seasons — 26 models in Fall 2017, 16 in Spring 2017 and just 4 in Fall 2016 — this is an immense improvement. That said, plus-size brands were responsible for the majority (56) of the castings. Twenty-five plus-size models walked in Addition Elle’s Spring 2018 show spotlighting the brand’s new capsule collection with Jordyn Woods, including 11 nonwhite models. Notable faces included the co-designer herself, Ashley Graham, Denise Bidot, Marquita Pring and Precious Lee. Torrid hired 31 plus-size models for its NYFW debut, among them Alessandra Garcia Lorido, Clémentine Desseaux, Georgia Pratt and Hunter McGrady. While the mass retailer’s exclusively plus-size (and racially diverse) runway made for a stronger representational season, we’d be remiss not to acknowledge the brand’s critics. 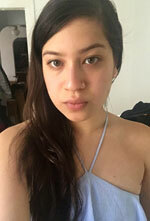 Ahead of the show, Torrid claimed to be the “first plus-size women’s fashion brand” to show at New York Fashion Week, failing to acknowledge “the hard work that predecessors — and even designers like Christian Siriano, Prabal Gurung and Chromat — have put in to make fashion week a more plus-size brand-friendly place,” to quote Fashionista. Were we to exclude the castings at Torrid and Addition Elle, we’d still be left with a record 34 plus-size model appearances at NYFW alone. Times are changing. To wit: several well-known designers underlined their commitment to body inclusiveness. Graham returned to the Michael Kors runway, this time joined by Sabina Karlsson. For the second season running, Prabal Gurung had two plus-size models — Candice Huffine and Graham — walk in his show. Tome hired Chloe Vero and Pratt. Tracy Reese featured Hadassah McGrew, Rachael Williams, Brittney Holguin and Melissa Koole. Paloma Elsesser made her runway debut at Eckhaus Latta. 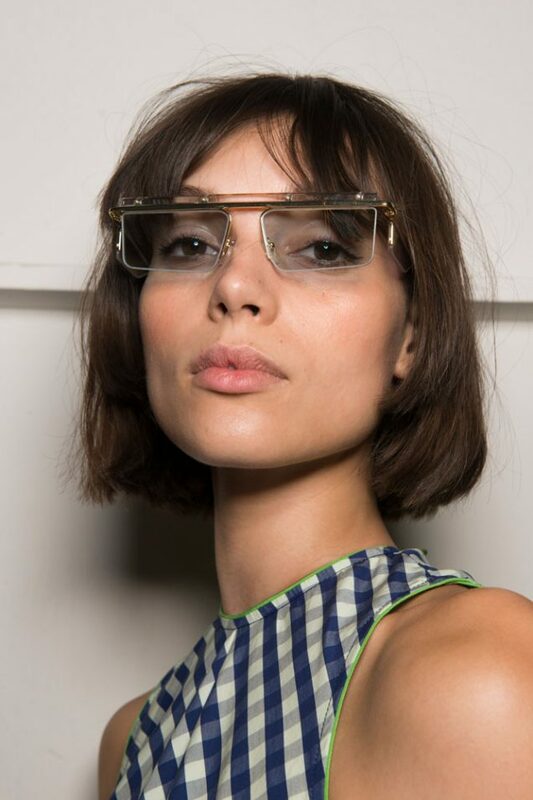 Anna Sui, a newcomer to the body diversity cause, cast Natalie Nootenboom. Per tradition, Christian Siriano and Chromat headed up the list of size-diverse shows. Siriano’s superstar cast featured 10 plus-size models, among them Pring, Huffine, Lee, Karlsson and Jocelyn Corona. At Chromat, 54-year-old Emme — née Melissa Miller, widely recognized as the first plus-size supermodel — made her first runway appearance ever. Joining her were 10 of her stunning successors (including Woods, McGrady, Bidot, Corona and Karlsson). Notwithstanding the scarcity of plus-size models in the Fall 2017 ads, it’s clear industry standards are changing — at least in New York. In addition to the jump in plus-size castings, it’s encouraging that this season’s most-booked curvy model was a woman of color (Corona with four shows). Transgender visibility saw a significant lift, too. For Spring 2018, there were 31 transgender women and non-binary model appearances (28 transgender, 3 non-binary) across 29 runways, many of them high-profile shows. That’s the largest figure we’ve seen since we first started tallying the numbers in 2015. By comparison, New York Fashion Week’s Fall 2017 season had only 12 such castings, confined to 5 — again, big-name — shows. It’s worth noting that Fall 2017’s figures would not lag quite as far behind had in-demand model Teddy Quinlivan revealed her transgender identity earlier. 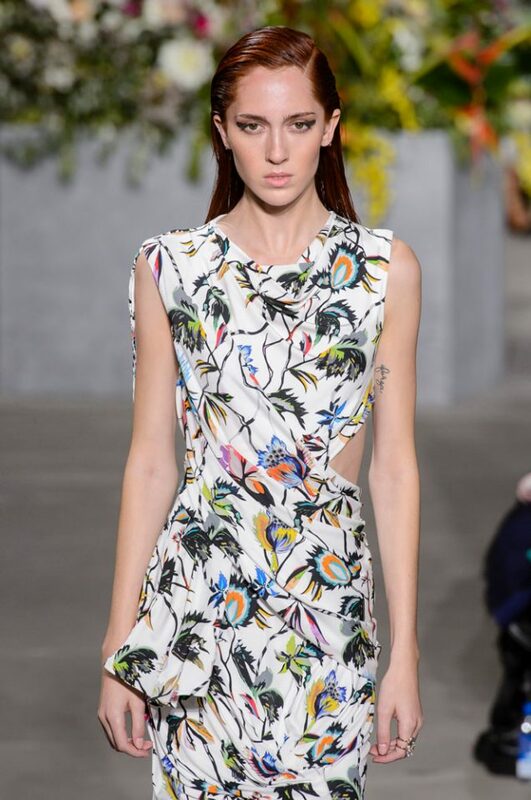 Last February, Quinlivan appeared in eight major New York shows. At the time, Quinlivan chose to present as a cisgendered female “not only to protect [her] career, but … also to protect [herself] from being hurt.” At the close of New York’s Spring 2018 shows, Quinlivan came out as transgender in a groundbreaking CNN interview. With 11 major castings under her belt, she was among the season’s sixth most-booked catwalkers. As such, the 23-year-old modeling success is largely responsible for the wide distribution (and prestige) of Spring 2018’s trans and non-binary castings. Still, Quinlivan isn’t solely to thank for this unprecedented progress. Several of the aforementioned designers — Siriano, Jacobs, Ryan Lobo and Ramon Martin of Tome, Shayne Oliver of Helmut Lang and Hood By Air — consistently prioritize diverse casting. From a gender identity standpoint, however, none outshine Becca McCharen-Tran of Chromat, who routinely hires more transgender women than any other brand. For Spring 2018, Leyna Bloom, Aurel Haize Odogbo, Carmen Carrera, Maya Monès and Geena Rocero modeled McCharen-Tran’s sexed-up athleisure pieces, as did non-binary model Jahmal Golden. Elsewhere, non-binary models Phillipe Blond and Jude Karda walked at The Blonds and Collina Strada, respectively. 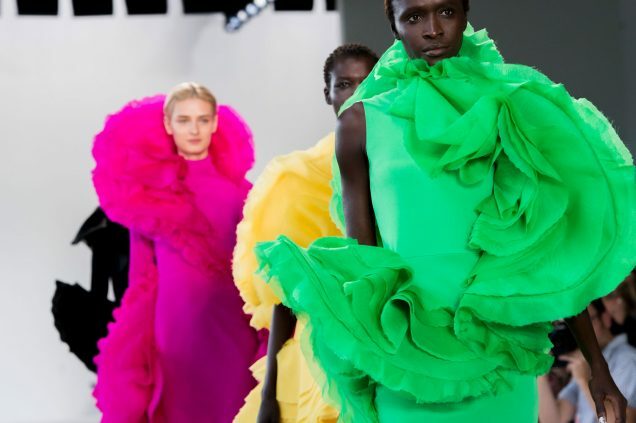 It’s worth mentioning that people of color represented 10 of the 31 transgender and non-binary castings and that a transgender, nonwhite model over 50 appeared in one of the most talked-about shows of the week, Helmut Lang. Thus, while it’s telling that approximately one-third of this season’s transgender and non-binary castings were inadvertent, 1.19 percent representation is definitely a big step in the right direction, for New York at least. And seeing as, up until now, Quinlivan has been equally popular in Europe, we have reason to believe that this progress will continue (to some degree) in London, Milan and Paris. Women over age 50 were better represented on the Spring 2018 runways than any season prior, although they remained the least visible category. Models in their 50s, 60s and upward were present at six New York shows, for a total of 10 appearances. That’s a slight improvement over Fall 2017’s six and Spring 2017’s eight. As noted previously, veteran plus-size model Emme made a cameo at Chromat. Tome, which makes age inclusion a priority every single season, cast 90s super Coco Mitchell (one of the first successful black models) along with Jacky O’Shaughnessy (of American Apparel fame) and Jo-Ani Johnson (advocate of graying gracefully), both in their 60s. Eckhaus Latta tapped fashion designer/artist Susan Cianciolo, who regularly models for the brand, as well as actress/former model Barbara Ferris (now 75). Helmut Lang featured two women over 50, including nightlife queen Sophia Lamar. 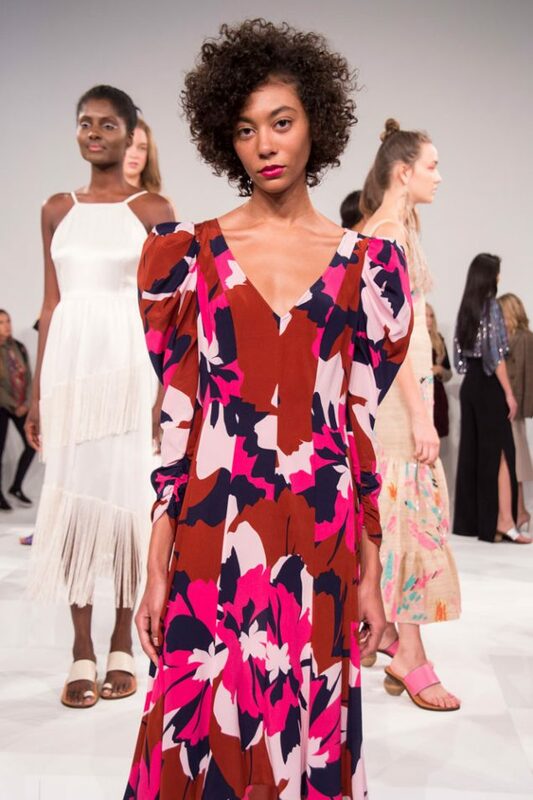 While it’s disappointing that the vast majority of designers still overlook this group, it’s worth noting that Spring 2018’s mature model castings included four nonwhite models, one plus-size model and one transgender woman of color (Lamar). At least a handful of designers understand the importance of diversity on all levels. A Détacher cast 2 models of color out of 15, lifting its racial diversity rating from 7 percent to (a still unimpressive) 13 percent. Matching A Détacher’s score was Son Jung Wan, which cast 2 nonwhite models out of 16. Victoria Beckham also failed to adequately represent women of color, casting only 5 nonwhite models in her 31-strong lineup (in other words, 16 percent). Despite Yeezy’s marked absence from the NYFW calendar — we’re tempted to quote “Flashing Lights” — the week had its share of exceptionally racially diverse shows. Brandon Maxwell, who has long prioritized inclusion, featured 62 percent models of color (up from 59 percent in Fall 2017). Tom Ford’s first New York show in a year featured 65 percent nonwhite models, as did The Blonds. Tome and Chromat — two of the most diverse shows of the season with respect to not only race, but also age, body and gender identity — hired 70 and 72 percent nonwhite models, respectively. As far as brands go, Torrid, Helmut Lang, Marc Jacobs, Tracy Reese, Christian Siriano, Desigual, Tome and Chromat all embraced a more comprehensive definition of diversity, putting forth the most inclusive runways of the week. “Tome is an everywoman brand, meaning it’s a collection that speaks to women of all ages, shapes and ethnicities. We wanted to make sure that was reflected on the runway, and in the case of our SS18 presentation, the stage,” designers Ramon Martin and Ryan Lobo told theFashionSpot. In addition to featuring 70 percent women of color, Tome’s runway included one transgender model (Stav Strashko), three women over 50 and two plus-size women. Isabella Burley and Shayne Oliver’s debut Helmut Lang show, in addition to being 35 percent racially diverse, spotlit two transgender models (both nonwhite, one over 50). Christian Siriano, who was responsible for 10 of the 90 plus-size castings this season, featured 47 percent women of color as well as one transgender model on his Spring 2018 runway. Torrid’s exclusively plus-size runway was nearly as racially diverse at 45 percent. Tracy Reese, another plus-size advocate (with four castings), hired 54 percent nonwhite models, a one-point improvement over last season. Still, progress is progress. Elsewhere, Desigual went the J.Crew/Opening Ceremony route by hiring nonmodels, populating its Spring 2018 “celebration of multiculturalism” with a host of professional dancers. (The catwalk was their stage.) In keeping with the show’s theme, 48 percent were nonwhite. 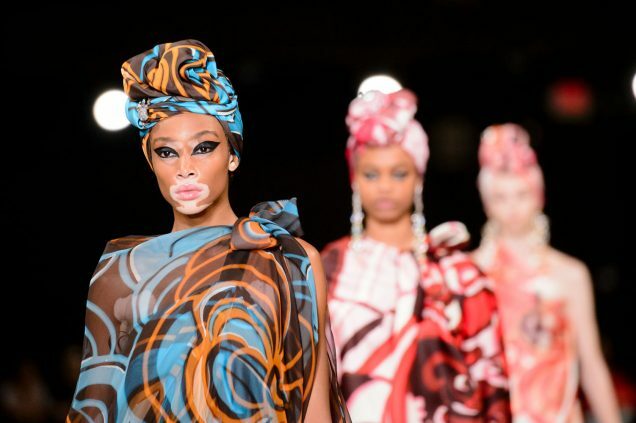 Over half the models (55 percent) on Marc Jacobs’ headscarf-heavy runway were women of color — which is perhaps how he (generally) avoided accusations of cultural appropriation. Two (Dara Allen and Quinlivan) were transgender. While Jacobs’ Spring 2018 stats aren’t quite as high as those of Fall 2017 when he hired 66 percent models of color and 3 out transgender women, they’re still formidable. And, given Jacobs’ extremely visible platform, one could argue that, by default, his advocacy counts more than any lesser-known brands we’ve mentioned. Still, we can’t discount the contributions of Chromat, which put forth the most inclusive show of the week by all accounts and measures. 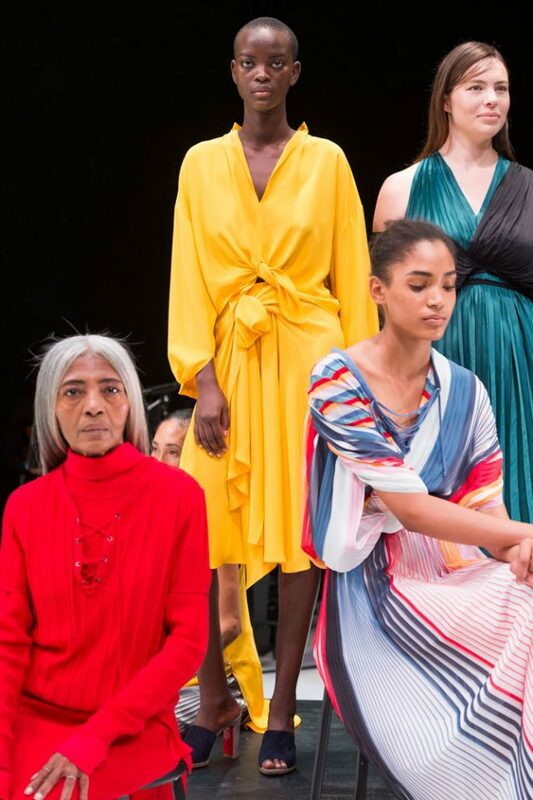 Diversity gladiator Becca McCharen-Tran cast five transgender models, one non-binary model and 11 plus-size models (one of them over 50) in her 72 percent nonwhite Spring 2018 show. Only women and non-binary models are included in this data. Models of color are categorized as those who are nonwhite or of mixed backgrounds. Fall 2017 collections that showed during the Spring 2018 season are included in this report.